Have you neglected your teeth in 2018 and wish to get back on track in 2019? Here are a few tips for you on your way to healthier teeth and gums in the New Year. Although this may seem like stating the obvious, many people in the UK fail to brush for the recommended time of 2 minutes twice a day. Busy schedules and rushing in the mornings causes many of us to neglect our teeth. Why not try keeping a toothbrush at work so that if you’re caught short of time at home you can always brush once you arrive at the office…. Much of dentistry and keeping up good oral hygiene is to do with prevention. 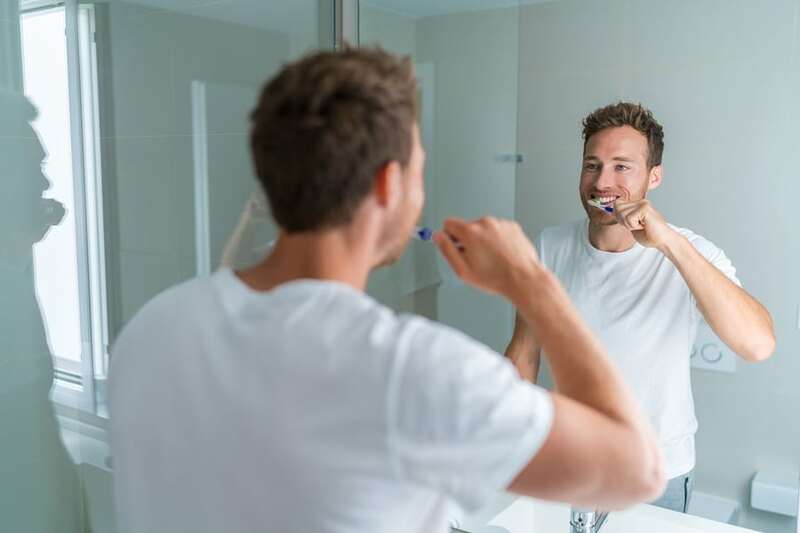 With this ins mind, even if you don’t feel you have any immediate issues with your teeth flagging themselves up, it’s essential that you make time for check-up visits with both the hygienist and the dentist, as each play different roles in your wellbeing. Brushing alone cannot reach the small lingering food particles that get stuck in between your teeth after you eat. The solution? Flossing. Flossing reaches particles along the gum line and prevents the build-up of avoidable plaque and tartar which if left ignored, can manifest early signs of gum disease. Obviously there are certain foods that we all know are no friend to the teeth: confectionary, wine, tea and coffee – the list goes on. However, less people are aware of the foods that can actually help boost your dental health. Such foods include cheese, leafy greens and turkey. Cheese and leafy greens stimulate the production of saliva in the mouth, washing away unwanted food particles (acting like a natural toothbrush if you will!). Turkey contains phosphorous and calcium which help fortify your tooth enamel. Try substituting read meat for turkey this year? If you would like to book a consultation or general check-up appointment, please do not hesitate to contact us.